If you've ever wondered why that flawless foundation you bought in the shop looks not one bit flawless on your skin once you apply it yourself, then it could be down to the ancient makeup brushes you're using to slap it on. Because my friends, every beauty addict knows that the makeup you own is only as good as the tools it's applied with. And you'll be pushed to find any cuter brushes than these rose gold aquatic beauties. 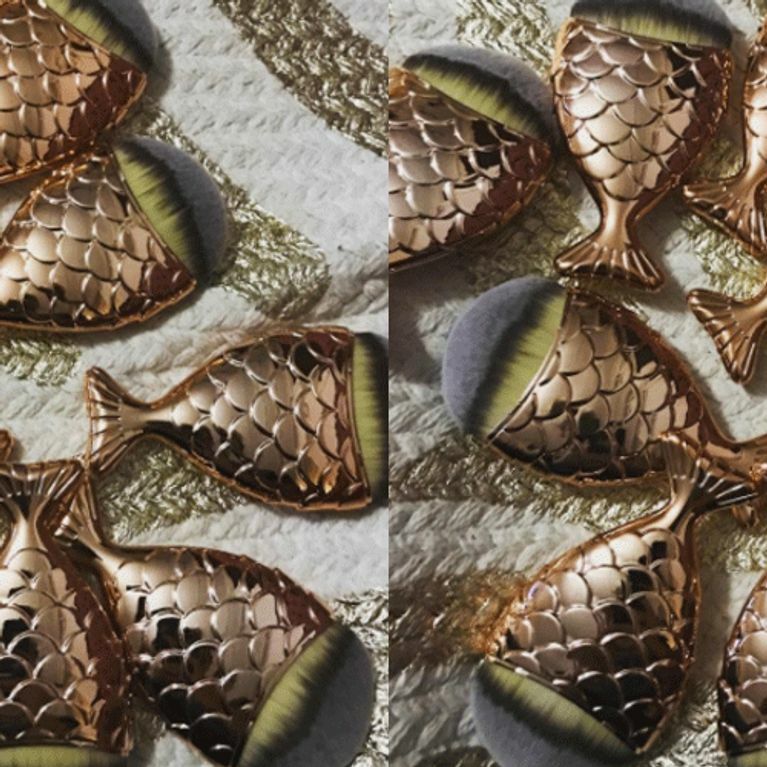 ​Proving once again the mermaid trend is well and truly here to stay (yay) meet your newest beauty obsession: Chubby Mermaid Carve and Contour Paddle Brushes. The 'chubby mermaid brushes' are courtesy of salon and retailer Mermaid Salon, who are based in Brisbane, Australia, and famed for selling all-things mermaid - they even have an in-store hair salon giving customers the fishtail plait they've always dreamed of. But fear not - you won't have to spend your entire wage on a plane ticket to Aus as you can also get these beaut brushes from their online store. Chubbier than a hamster's cheeks filled with grapes, the fishtail shape of the handle makes them super easy to hold and therefore make applying your base and contouring a doddle and we just LOVE the intricate scaling detail, too. It's no wonder the Internet is going totally bonkers over them, we need them in our lives ASAP. ​They come in black, silver and rose gold and the brand revealed the colour choices are inspired by their favourite Apple products. So what are you waiting for? These babies are the perfect thing to *splash* your cash on.